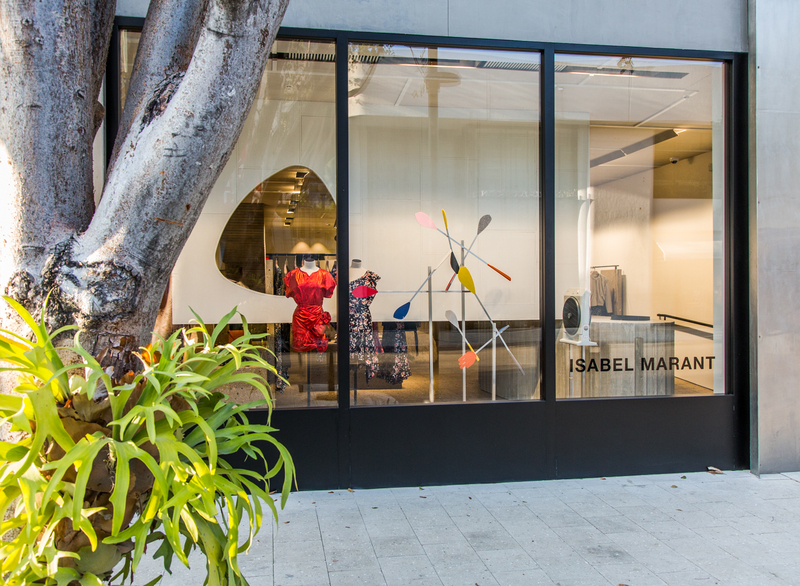 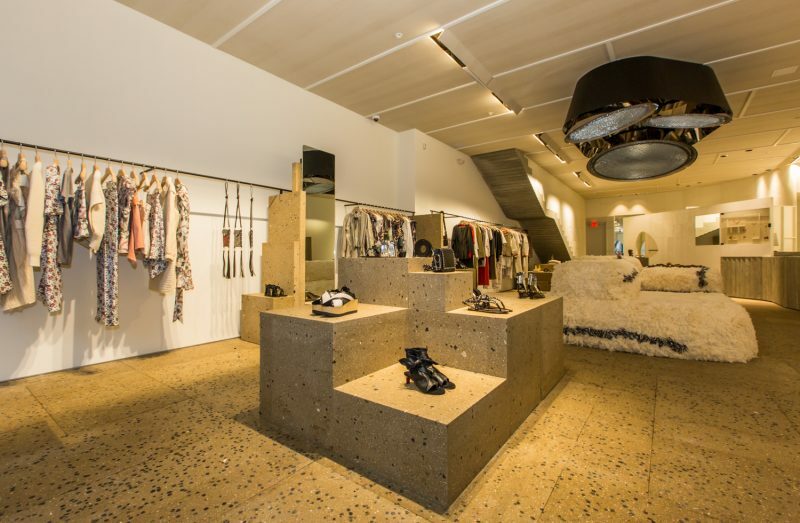 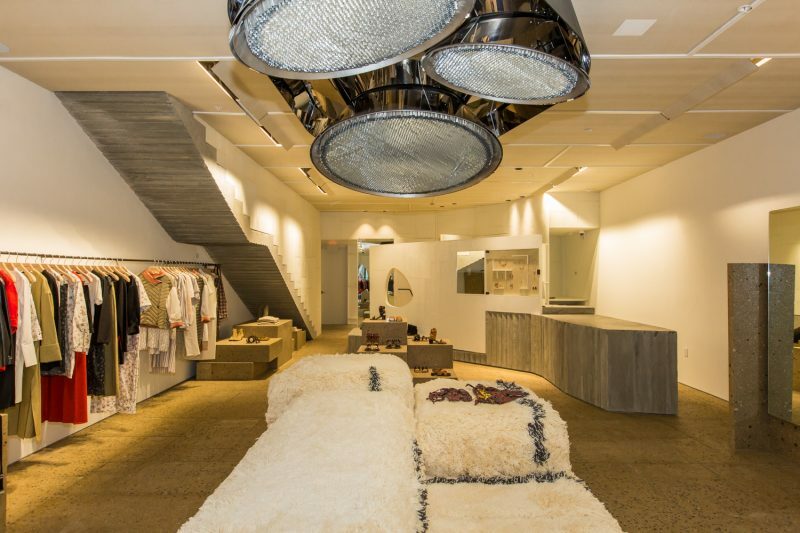 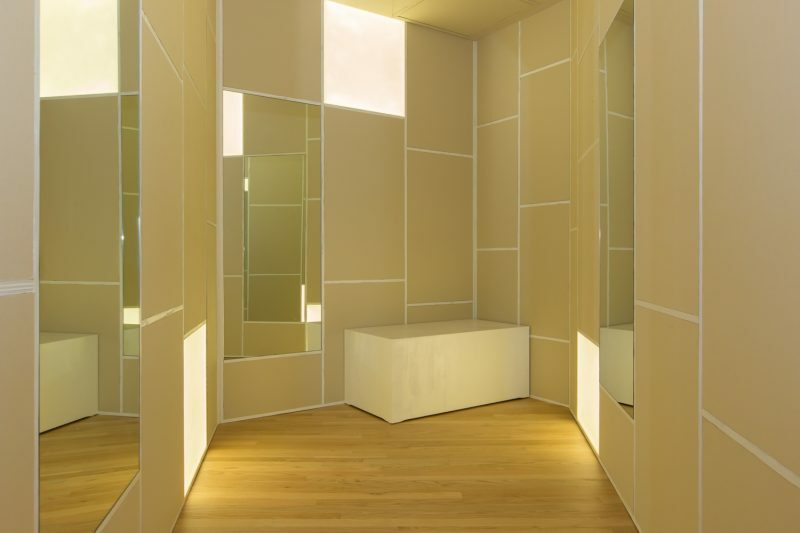 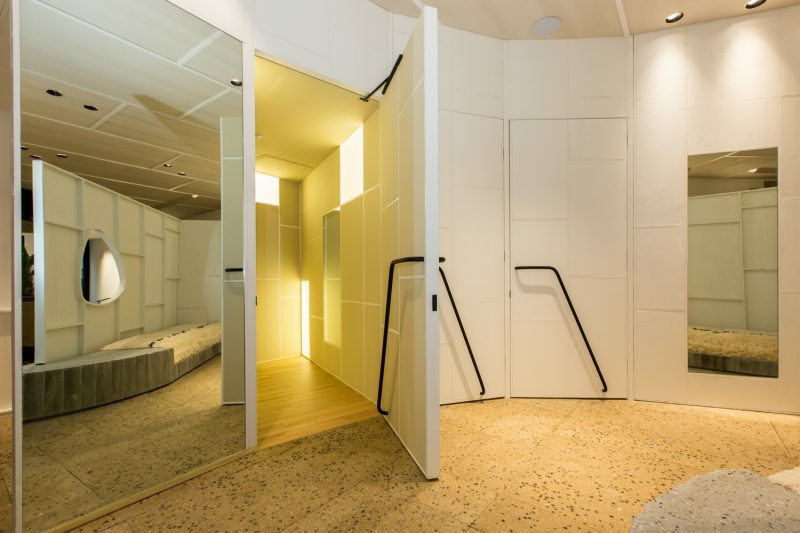 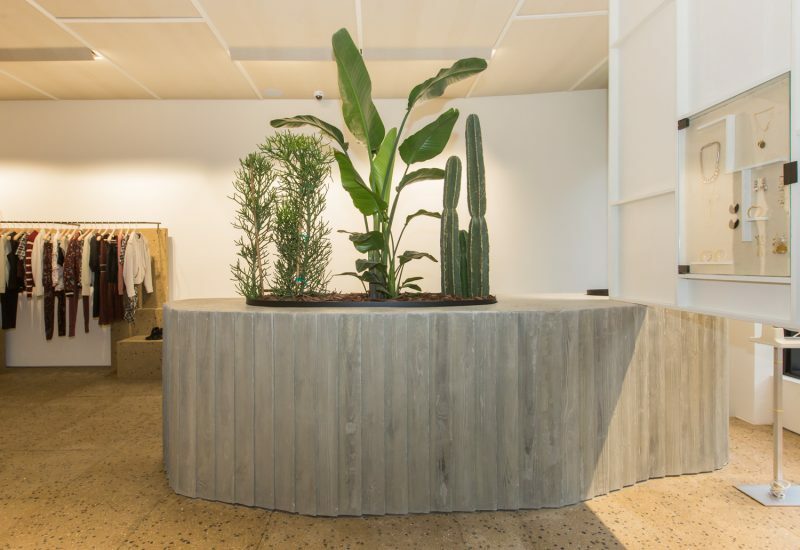 Isabel Marant has opened her first boutique in Miami, which marks her fifth store in the US. 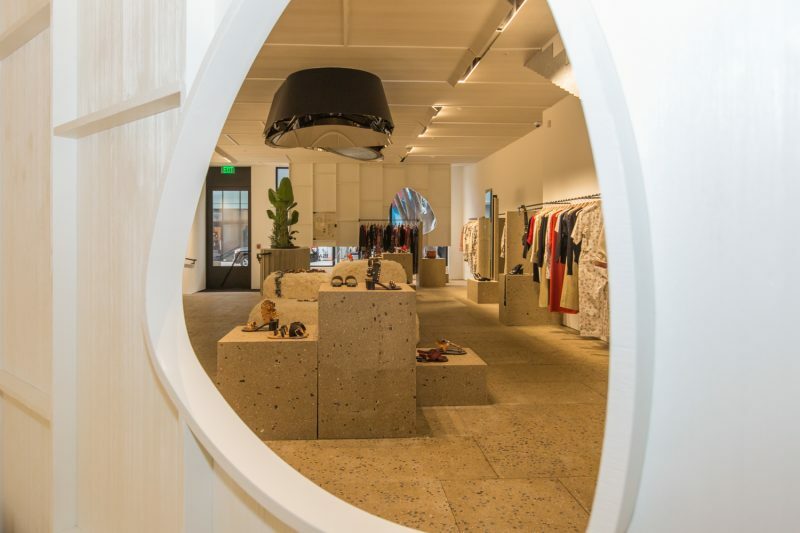 Marant also has stores in Los Angeles and San Francisco and two stores in New York City. 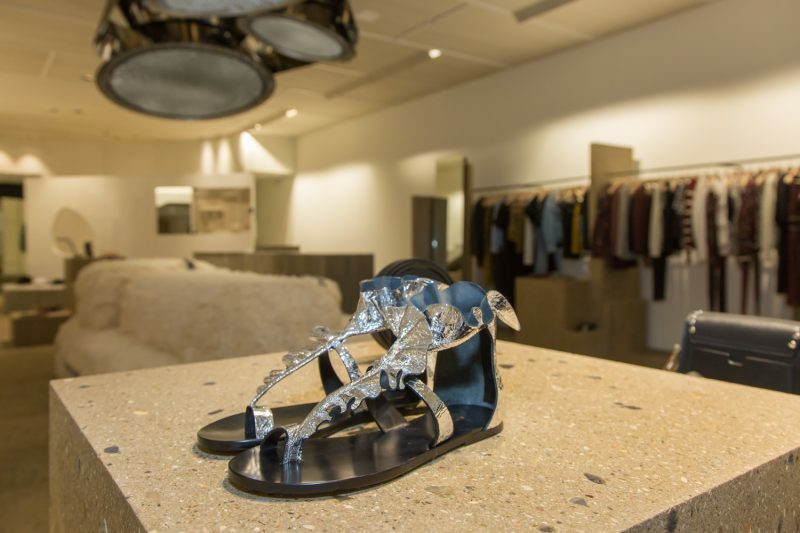 Located in Miami’s Design District, next to the ever-increasing number of luxury brands that have opened in the area since its inception, the 2,150-square-foot space is located on the ground floor of the Garden Lounge Building on 175 N.E. 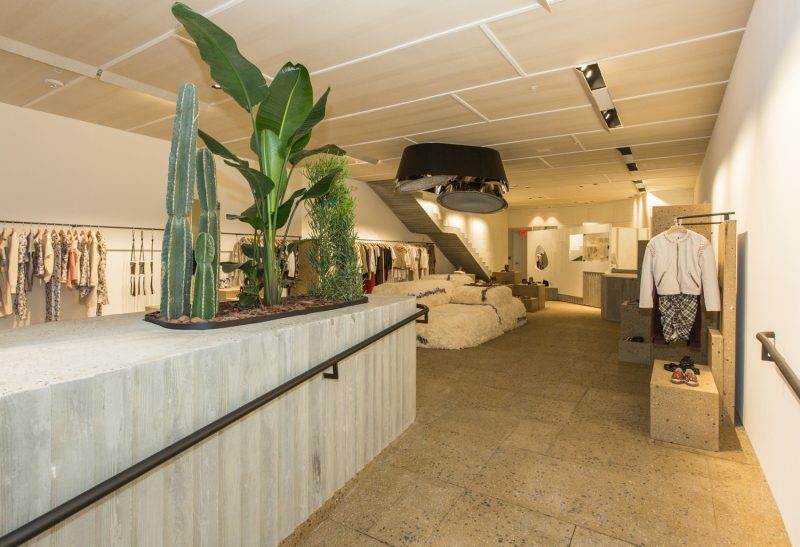 40th Street. 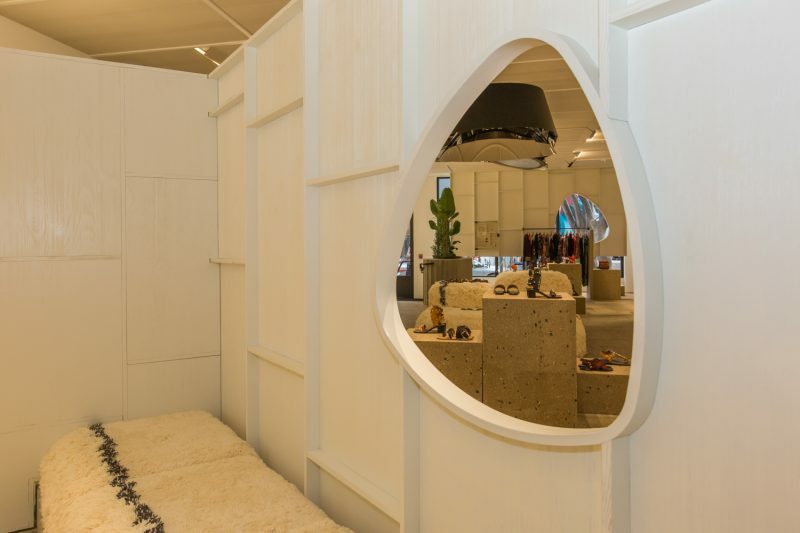 The Parisian designer tapped French architect Laurent Deroo to design the modernist space inspired by the French brutalist movement of the ’50s and ’60s. 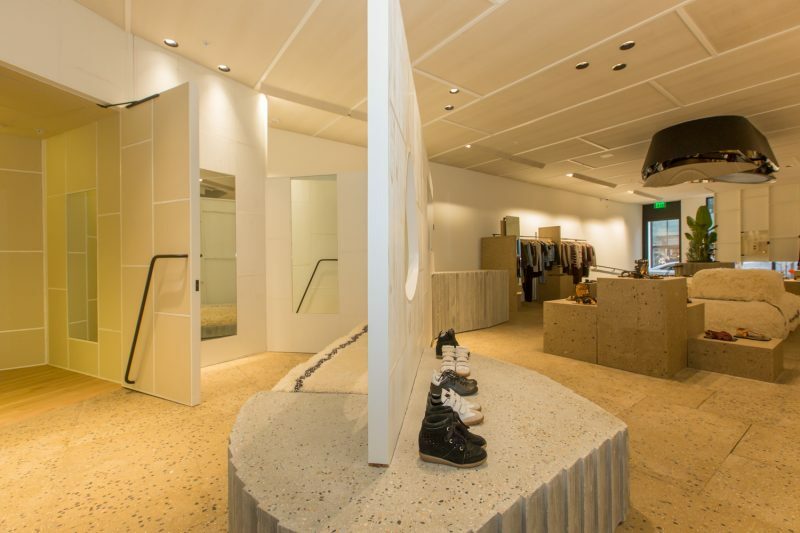 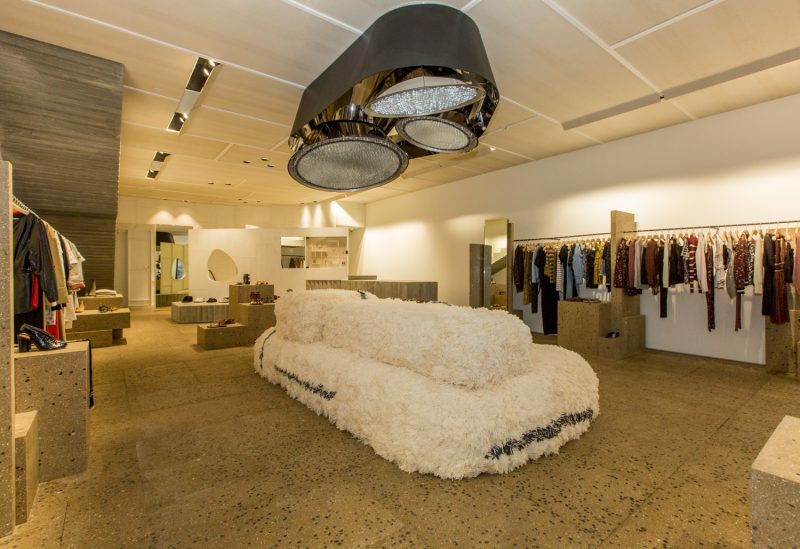 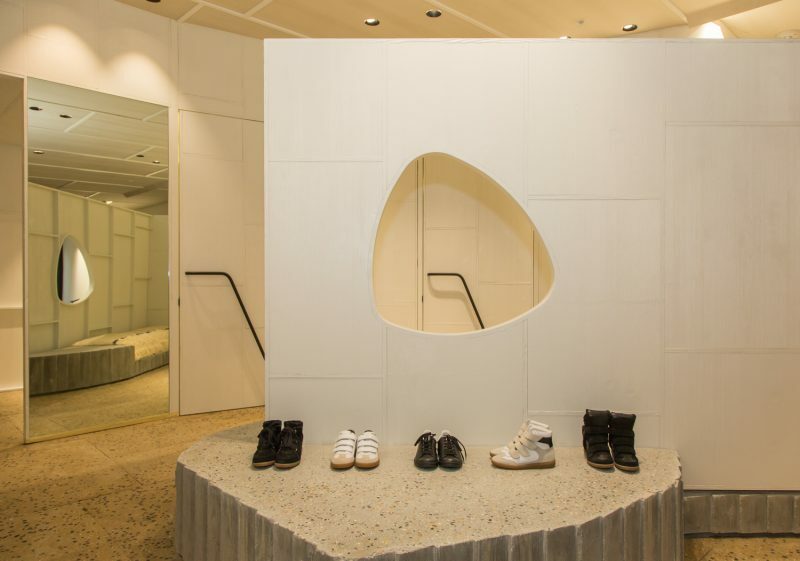 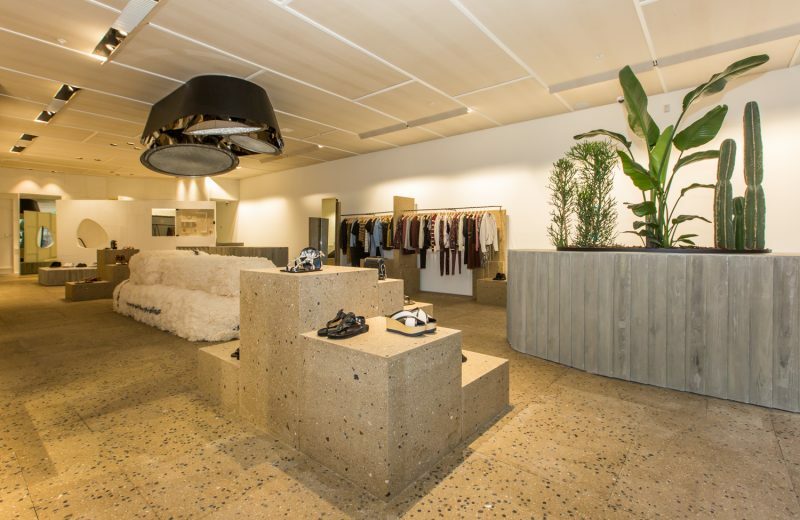 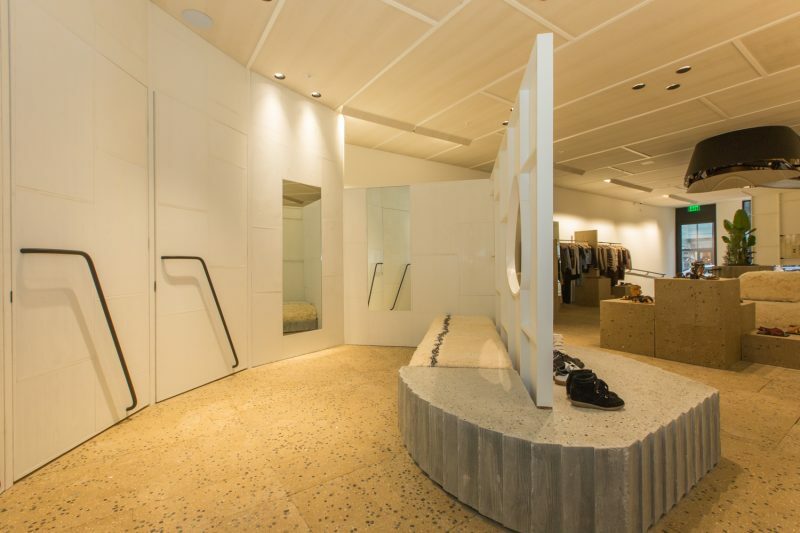 Terrazzo made of concrete and lava stone line the floors and adorn the accessory displays while a kinetic chandelier and raw-wool sofa are featured as the sculptural centerpieces of the store. 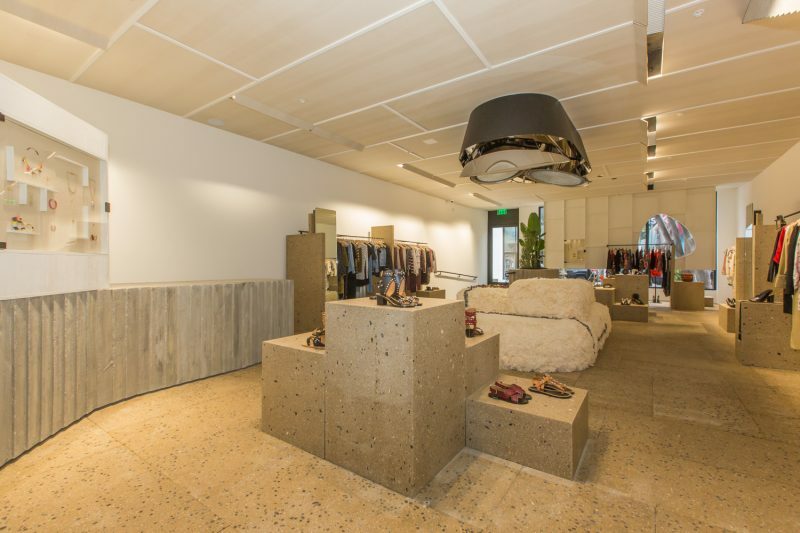 The new Miami boutique will sell Marant’s main line as well as her contemporary line, Isabel Marant Etoile.